Kershaw was founded in 1974; they have been making knives for 43 years now. Kershaw is best known for their small and mid-size EDC and tactical folders. 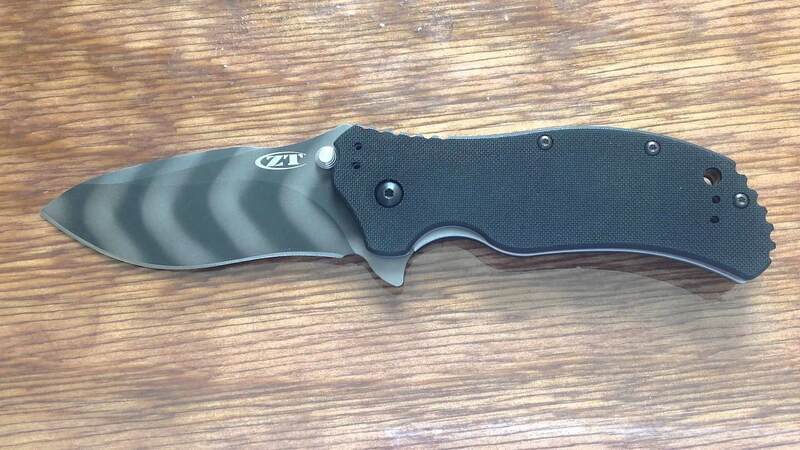 Most of the Kershaw knives are made in the USA; meanwhile, other knives are made in the Asia. I've a collection of kershaw knives and a few of them are awesome for their price and quality. 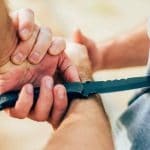 Kershaw is among top pocket knife brands, their reputation isn’t just based on the hype, but rather for high-quality knives that they produce. They have been in the market for years and always impressed their new and loyal customers. In the tactical and professional category, their Blur and CQC lines are the most selling. If you’re looking for something more military or law enforcement style, then check out their sister brand Zero Tolerance. Since I've a massive collection of kershaw knives, I thought of publishing my opinion about what are the best kershaw knives in the world. This is my personal opinion, you might or might not like it. All the knives shared are cheap and under budget. Cryo was voted best water of the year (2012) in Blade Magazine. If you're looking for a best Kershaw knife under 30$, then Kershaw would be my top pick. Blade: The blade length is 2.75 inches, and overall length is 6.5 inches. The blade is consist of 8Cr13MoV stainless steel. 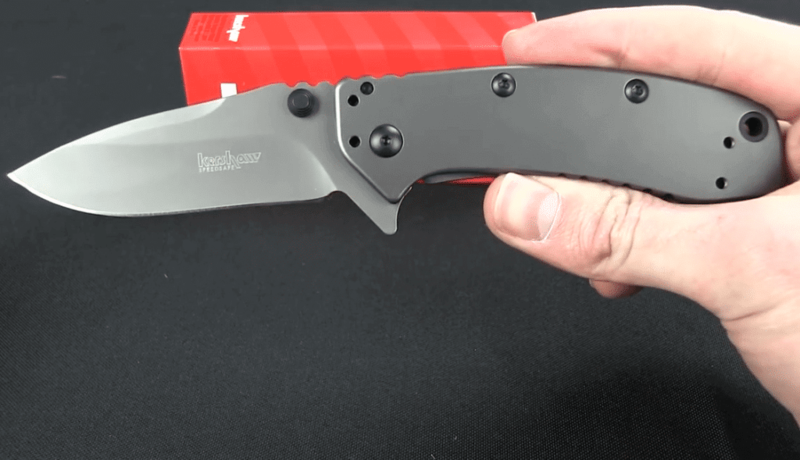 The Kershaw "Speed Assist" makes the blade fly out with minuscule effort. Though the steel 8Cr13MoV is made in china but we found it very reasonably well, it holds the edge well & gets sharpen very quickly. Handle & Ergonomics: The handle is constructed of titanium carbo-nitride coated stainless steel. The handle holds the grip very well but if compared to the G10 or other high-quality material then might not be feel satisfied. During rainy days, if handle gets wet, you might not find it grippy but on the regular days it will not fail to perform good. Ergonomics are very comfortable. It has assisted opening mechanism which works very smoothly when you try to open or fold the blade, it's fast. The jimping on the handle provides extra grip which you'll love. The knife's handle is proper steel with no added scales. Verdict: I think, if you're looking for a budget friendly Kershaw knife then Cryo would be best. You can use this knife for quite lot of daily chores to get your work done. It's a decent knife with very small budget and good quality. The Leek series includes some of Kershaw's most popular knives, and the Leek is no exception. This particular knife features a distinctive design by celebrated knife maker Ken Onion, who created the SpeedSafe ambidextrous assisted opening system. Blade: The blade length is about 3 inches that I consider very decent for normal tasks like slicing, cutting ropes and for carrying around. The blade is constructed of Sandvik 14C28N steel with bead-blasted finish. The blade is sharp and easy to sharpen. 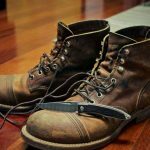 The quality of blade is fine but don't expect to use it for heavy duty tasks or piercing related tasks because the tip of the blade is very fragile. 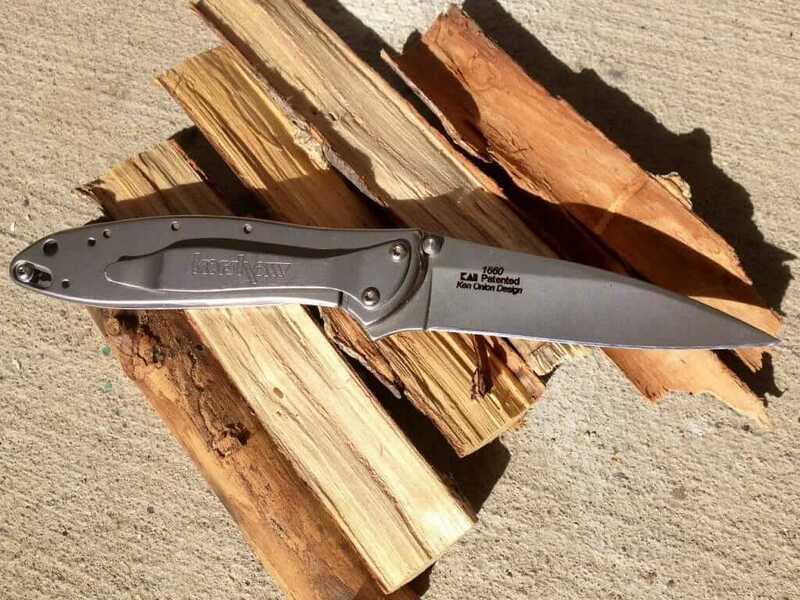 Read my review of Kershaw Leek Knife, I shared everything very thoroughly there. 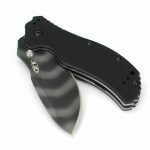 Handle & Ergonomics: The handle on the Kershaw Leek is constructed from 410 stainless steel with a bead-blasted finish. The handle is slippery and little difficult to maintain a safe grip on the knife. The slim handle provides it very sleek profile.Though the grip is an issue but I don't think a knife of this size really needs any type of substantial grip. Verdict: It's easy to open, the blade stays sharp, the blade is reversible and it is built in the USA. The overall size is EDC friendly and its design makes it a cool looking knife. Yes, it's not for heavy duty tasks but other than that, it's good. The Blur series offers power and performance and ideal for extreme everyday situations. 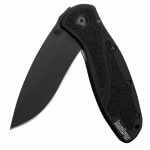 Kershaw leek is a mid range pocket knife which performs exceptionally good. Blade: The blade length is 3.4 inches which is constructed of 13C26 stainless steel. 13C26 offers good hardness and it is corrosion resistance. It arrives sharp stays sharp and cuts with ease. The blade is durable, great is for cutting boxes, tape, and rope. The Blur knife is available in two blade types: Plain edge and serrated. I personally prefer plain edge but depending on your work you might find serrated blade better. Handle & Ergonomics: The handle is made up of 6061-T6 anodized aluminum which makes it rough, almost like Line-x. There is no chance it's slipping out of your hand. If you look closely, you'll find rubber on the handle that helps you to hold the handle with full grip. Handle comes with a variety of colors like red, olive, and black. If you're a color specific person, then this will definitely make your day up. 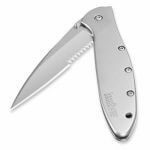 The knife has a clip and the pre-drilled holes in the handle allow you to switch the pocket clip for either tip up or tip down carry. Though the handle is good but I find out that when worn often enough, it can actually wear through jeans. Verdict: Blade is sharp, looks great, Speedsafe opening is excellent, and handle's ergonomics are very pretty. The pocket clip is tight which makes it tough to pull out the knife from the pocket. 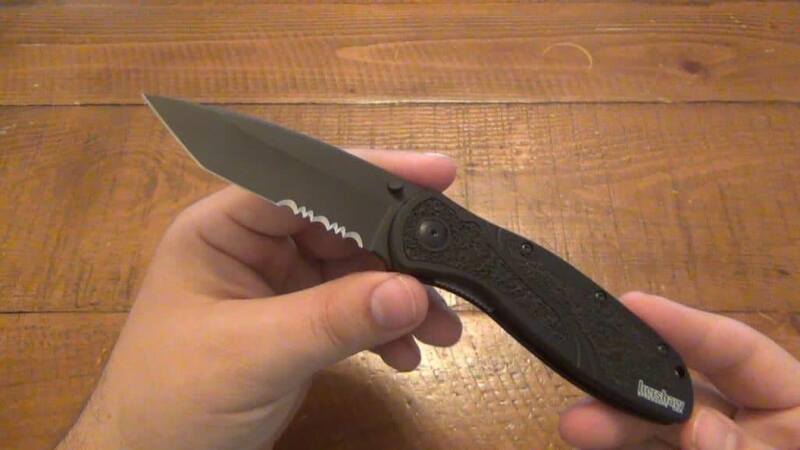 Zero tolerance is one of the popular editions in the knife industry. The 0350 is fully equipped with SpeedSafe for one-handed assisted opening. Even in combat gloves, you can easily deploy the blade using the large, ambidextrous thumb stud or blade protrusion. 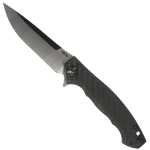 Note: The owner of Kershaw Knives, Kai USA Ltd. is headquartered in Oregon and also owns Shun Knives and Zero Tolerance Knives. 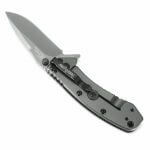 Blade: The blade is constructed with S30V stainless-steel and assembled with speedsafe opening mechanism which is lightening fast but at the same time its safe to open. The cutting performance of the blade is amazing. In simple words, the blade is very sharp and tough which is able to perform heavy duty tasks in the wilderness. Handle & Ergonomics: Knife fits into the hand very well, the blade protrusion & grippy G10 handles make this knife very comfortable to hold, feels very natural in your hand, even with gloves on. This knife absolutely refuses the let go of your hand. The spring clip holds well to thin nylon jacket pockets and has good clamping force. It Includes a quad mounting system for tip-up, tip-down, left- or right-handed clip carry. Verdict: Great steel, Great Ergonomics, Best speed-safe assisted opening mechanism ﻿﻿﻿knife, Performs heavy duty tasks. No doubt, it is a best kershaw knife of all. Kershaw is a well-known knife company that originates best folding knives, sporting knives, hunting knives, and even kitchen knives. All the knives I mentioned affordable and beautiful and have a broad array of styles. This is my best picks for this article, I will continue to update this articles with new good models or good alternatives for existing models. 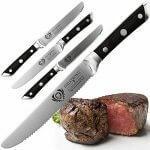 These knives are sturdy but elegant enough for formal occasions. 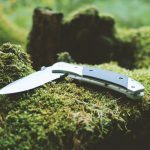 Whether you are hiking, camping, backpacking, or just going to a friend's wedding, Kershaw knives will serve you well. If you think I missed any knife that worth the mention then comment down below.